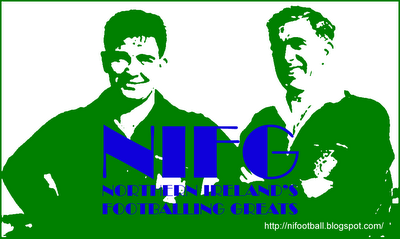 Representative Honours: Northern Ireland: 1 Under-21 Cap (2009), Youth. Young striker who's progress at Aston Villa was slowed by serious injury. Described by Steve Beaglehole as "technically good and adaptable" big things had been expected of him prior to undergoing knee reconstruction surgery and he had been training with the Villa firstteam before his seventeen month enforced absence. By early 2010 he had given up hopes of ever making it as a professional and had taken the decision to retire. Encouraged by his family to give it another go, McGurk joined Hednesford Town where he played under former Northern Ireland midfielder, Bernard McNally. He then signed for Tranmere Rovers, initially on a non-contract basis and established himself over the next few seasons. 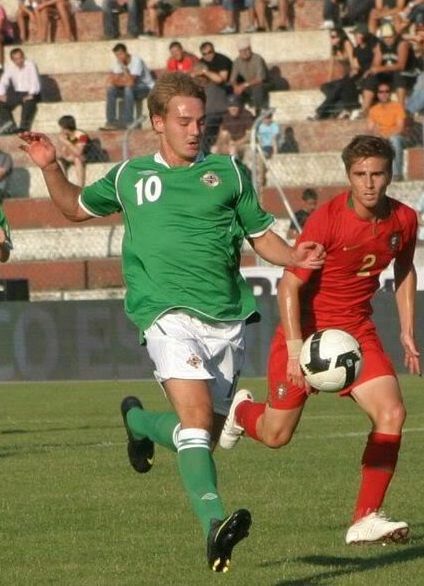 After starring at youth level for Northern Ireland, McGurk's only appearance for the Under-21 team lasted just 38 minutes as he struggled to make an impact as he was in the middle of an abortive return from a succession of serious and niggling injuries which included shin splints and as well as torn knee ligaments. Good form in the 2012/13 season saw a first senior call-up for the February friendly against Malta. His contract with Tranmere expired in the summer of 2013 and he was targeted by several higher-tier clubs but eventually signed with League Two side Burton Albion. In 2015 he joined Portsmouth on a two year deal. He remained at Fratton Park for just a year before joining Cambridge United. He spent 2017/18 with Morecambe and his five goals helped them to avoid relegation from the EFL but he was released as the campaign ended.